For use with Metal Pot Holder Loom and Loops by Schylling. 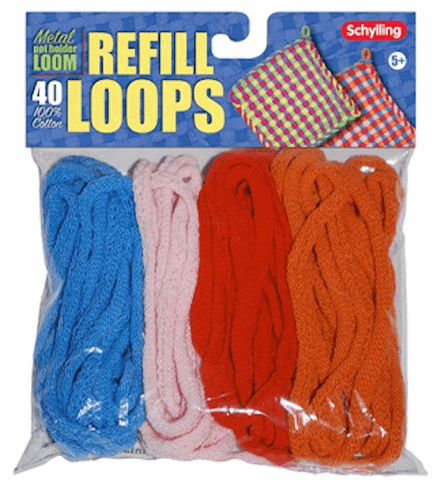 This pack contains 40 loops to make an extra Pot Holder. Colors may vary.